Although we likely all associate Revere’s only claim to fame with the escape of John Hancock and Samuel Adams from Lexington, Revere led a rich a complex life in many other ways. Born January 1, 1735, he was the third of 12 children. Like many men of his time, Revere had an interest in current public affairs and worked for his father's business at a young age. At the start of the French and Indian War, which lasted from 1756 to 1763, and comprised the North American portion of the Seven Years' World War that began with France's opposition to Britain’s ever-increasing worldwide power and influence, Revere readily enlisted in the army. His enlistment marks the starting point of Revere's military and political involvement, although he would never truly succeed as a leader in either. Revere's true calling began at the age of 13, when he began to work in his father's silversmith shop. He excelled quickly at the craft, and even incorporated his smithing skills in a dentistry side business which he ran successfully after the Seven Years' War when the British economy, and subsequently the colonies, suffered. 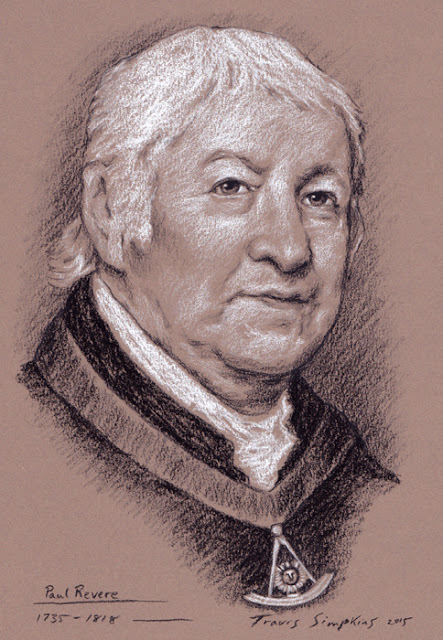 One of his clients was Joseph Warren, a revolutionary who shared many of Revere's ideals. The two soon became close friends. But before Revere's business in the smithing business really had a chance to thrive, the Revolutionary War was at America's doorstep. When Revere became a member of the Sons of Liberty, he had already been a Mason for five years. Initiated into St. Andrew's Lodge in 1760, Revere was an active member of the Masonic community, rising to Royal Arch Mason and Knight Templar in 1769. But just as his silversmith business, Revere's Masonic career would soon be put on hold as tensions between the colonies and Britain began to reach their pinnacle. Like many colonist of the time, Revere was growing increasingly frustrated with the British government's imposition of unjust taxes on the colonies. In an effort to combat these actions, he helped form the Sons of Liberty, a rebel organization known for its motto: "No taxation without representation!" By the time the British imposed the Tea Act in May of 1773, which created a monopoly on the import of tea that favored the British East India Company and made sales for colony merchants impossible, Revere had achieved the position of Worshipful Master at his local Mason lodge. But that same December, Revere and Warren helped to organize the Boston Tea Party, which involved the refusal to unload monopolized tea products from British ships and ended with the dumping of 46 tons of tea into the Boston Harbor. This event was a pivotal moment in the days leading up to the Revolution, and would change the life of many young, bright and inventive colonists like Revere. Almost immediately, he and Warren began coordinating secret gatherings with the intention of disseminating British intelligence. They reached out to patriots from New York to Philadelphia including John Hancock and Samuel Adams. Within two years, the pair had created a successful system of communication which allowed warnings to be sent quickly and effectively in the event of a British attack. 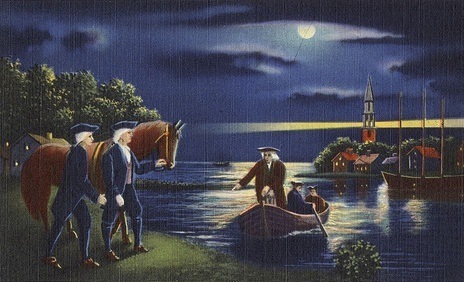 On the night of April 18, 1775, as John Hancock and Samuel Adams sat carefully planning their next steps to safely move from Lexington, MA to Philadelphia where the Continental Congress would next meet, Revere received word that British military troops were on the move across the Charles River in Boston. He knew this was likely in an effort to surprise and arrest Hancock and Adams, who had both been the target of repeated military ambush because of their influential involvement in the rebellion against the British government. It was time for action. As Revere departed Charlestown toward Lexington by river, his accomplice, William Dawes, left Boston for the same destination by horse. The two of them would meet in Lexington, MA around midnight to warn Adams and Hancock of the impending danger coming their way. While Adams and Hancock planned their escape from Lexington toward Philadelphia, Revere and Dawes chose to proceed seven miles west to Concord, MA where a large portion of the colonies' military supplies had been stored. While leaving Lexington, they combined forces with the American patriot Samuel Prescott, who rode on with them toward Concord. At this time, forty or more members of the militia had deployed to help spread the word about British invasion thanks to Revere’s “midnight ride”. But en Route to Concord, the trio was captured by British military officers, who held Revere at gunpoint for information after both Dawes and Prescott escaped. Revere subsequently volunteered information to his British captors, stating that a large number of militia awaiting British arrival in Lexington. The officers were skeptical and lead him back toward town. As they approached Lexington's gates, the town's bells began to clang violently, prompting the British offers to rethink their plan, release Revere and return to warn their commanders. 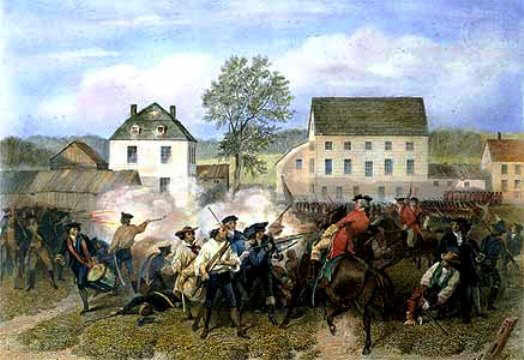 That day, on April 19, 1775, local militiamen faced the arriving British troops at Lexington and shots were fired. The first casualties of the America Revolution had been suffered. As the battle unfolded in Lexington, Revere helped Hancock and Adams to escape the town unnoticed. The two would of course go on to become vital instruments in America's independence. Despite his success at Lexington, Revere was denied access to the Continental Army and was instead assigned the task of creating a gunpowder mill. With only one powder mill in the colonies and an increasing shortage of gunpowder, Revere journeyed to Philadelphia to study the workings of the mill located there. Although the owner refused to provide any substantial information without a bribe, Revere was able to use a combination of his own knowledge combined with Samuel Adams' own plans to create a mill that successfully sifted and granulated sulfur, charcoal, and saltpeter to create the makings of gunpowder. The mill would provide the colonies' military forces with many tons of valuable gunpowder throughout the war. 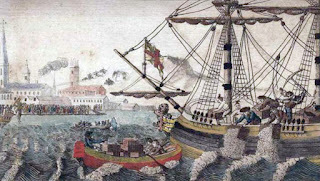 Revere returned to Boston in 1776, where he was finally able to apply himself in a military fashion as the lieutenant colonel at Castle William, defending Boston harbor. He took command of several successful missions there, but he ultimately failed as a military officer and was forced to resign. 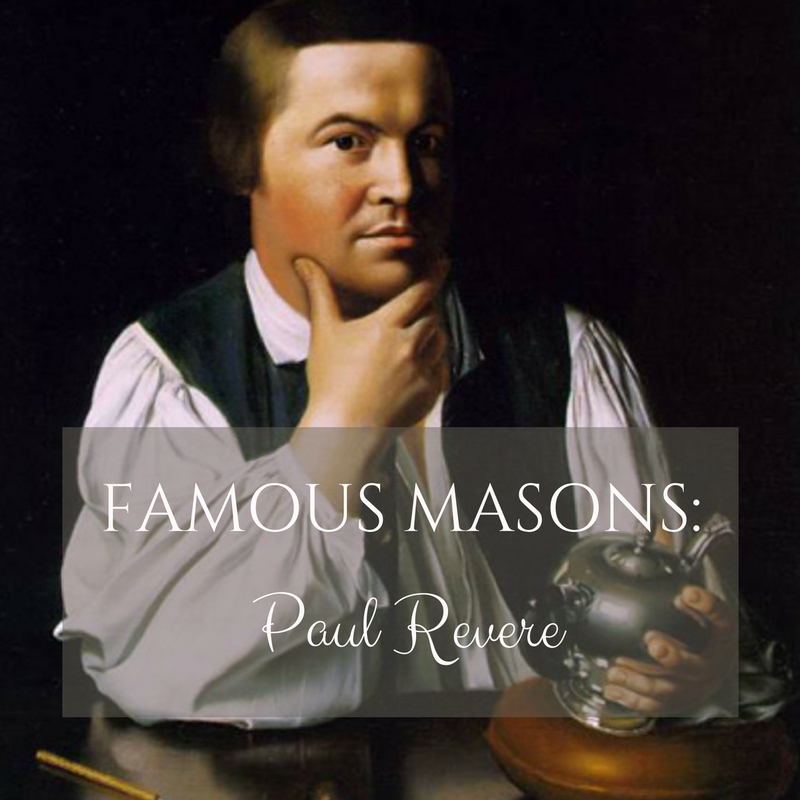 After his military career ended, Revere resumed his duties as Worshipful Master of his Masonic lodge from 1776 until 1797, and began to once again focus all of his working effort toward his silversmith business. Initially, his smithing work focused on the production of custom high-end goods sold to a limited audience, but after the start of the Revolutionary War when economic growth was significantly slowed, Revere instead focused on creating general goods such as silverware. By expanding his customer base, he was able to begin investing his growing profits to construct a large furnace that would allow him to manipulate metals like iron at much higher temperatures. Soon, he was creating stove parts, fireplace tools and other products he was able to sell to a wide audience. By 1788, he began to shift his silversmith business model from supplying apprenticeships to hiring employees, much to the dismay of those who considered themselves skilled artisans, not mere workers. He was able to counterbalance this protest by providing flexible work hours, wages in line with skill level and, of course, liquor on the job! Perfect timing combined with his previous silversmith training and his natural skills allowed Revere to grow a successful business as a silversmith. By using a rolling mill that created flat sheets of iron, he was able to increase productivity enormously during a time when America’s potential for productivity and economic successes were largely uncertain. He effectively managed and expanded his practice, and provided the necessary tools for a smooth transition from apprenticeships to employment. Revere’s close friend and confidant, Joseph Warren, was ultimately killed in the Battle of Bunker Hill on June 17, 1775, and buried in an unmarked grave where he was identified by Revere nine months later through a false tooth that had been fastened in his mouth using wire. Revere himself died May 10, 1818 after an adventurous and successful life journey. We love your input. If you'd like to comment on the story you just read, simply use the comment box below! Cool. An interesting post, great blog.